This season he’ll run in 13 races with Carlin Racing starting this weekend at COTA and including the Indianapolis 500. O’Ward has one start in IndyCar that came at Sonoma in 2018 where he qualified fifth and finished eighth for an impressive debut. Carlin was not the strongest team in the field last year with their drivers having a combined average start of 18.5 and an average finish of 16.5, good for just 15 points a race. But Charlie Kimball and Max Chilton were nowhere near the level O’Ward is at when they came out of Indy Lights. Kimball came to IndyCar at age 26 with no wins and just five podiums in 28 Indy Lights races. Chilton had one win in 13 races in the junior series and finished fifth in the championship out of just eleven full time drivers. O’Ward is younger, faster, and has a much better resume than the two drivers who drove for Carlin last year. Based on O’Ward’s Indy Lights experience and age, we can give a projection as to how he will fair in his first IndyCar season. 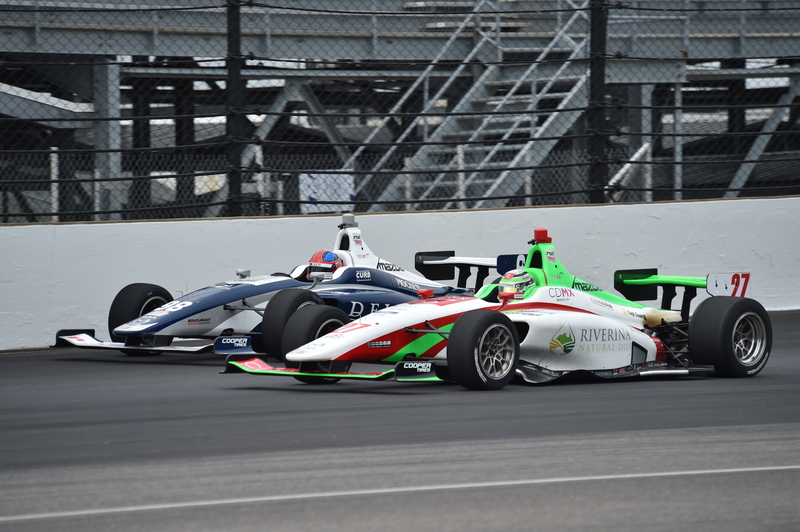 Using the history of other drivers who have transitioned from Indy Lights to IndyCar, our model expects O’Ward to have an average starting position of 12.5 and an average finishing position of 12.3. This prediction is for an “average” team’s car, so given Carlin’s performance in recent years, it might be appropriate to scale this estimate back a place or two down the grid to account for their car not being up to the level of those around them. So a range of 12th to 15th for O’Ward’s average starting and finishing positions in 2019 is our prediction. This would put him at a similar rate of production as Spencer Pigot or Zach Veach had in 2018. The model takes into account O’Ward’s age and his performances in his most recent season of Indy Lights. I would expect O’Ward to be Carlin’s top driver this season despite his young age. Chilton and Kimball have yet to prove themselves as reliably quick drivers throughout their time in IndyCar and I think O’Ward can come in and provide the spark that gets Carlin some good results. Two-to-three top-10 finishes for O’Ward this season would be a great accomplishment and it’s a number I think he can hit.